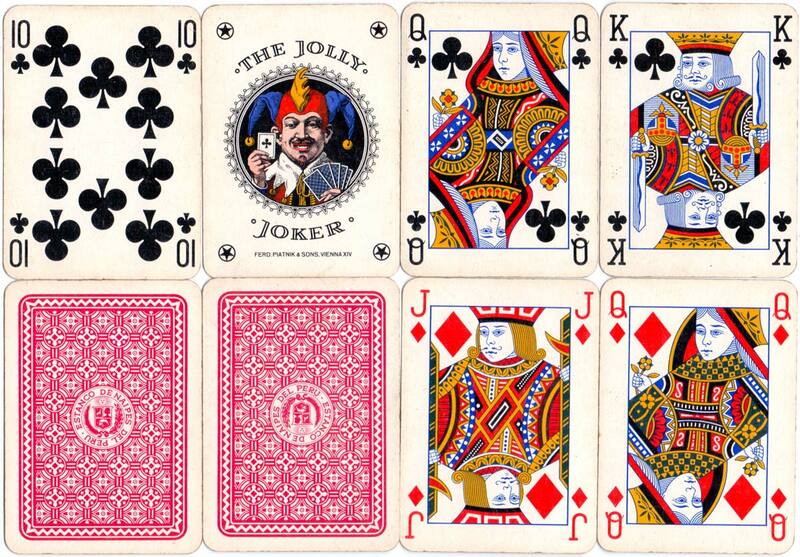 Below: De Luxe Bridge playing cards manufactured by Ferd. Piatnik & Sons, Vienna for the “Estanco de Naipes del Perú”, c.1960. 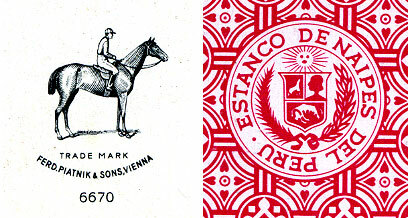 The legend “Estanco de Naipes del Perú” is printed on the reverse of the cards. 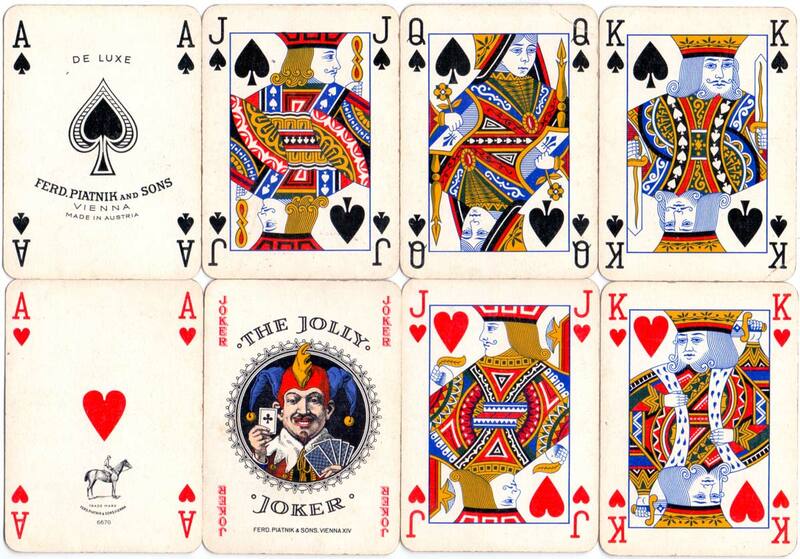 Above: playing cards manufactured by Ferd. Piatnik & Sons, Vienna for the “Estanco de Naipes del Perú”, c.1960. 52 cards + 3 jokers.